Ms. Kaneez Zainab is currently working as an Academic Coordinator at Aga Khan Higher Secondary School, Karachi. She has done masters in Science (Microbiology) from Karachi University. She has done 2 Advanced Diploma, one in Teaching Science and the other in Leadership and Management from Aga Khan University, Institute for Educational Development. She has been associated with the field of education for past 15 years. She has been carrying out a variety of professional development activities which include conducting workshops, short courses during summer break, providing on-going classroom-based support to teachers, reviewing test papers, helping teachers preparing their lesson plans, developing teaching-learning materials, and importantly doing classroom teaching as well. In view of limited seats available, prior registration for this workshop is mandatory. Kindly confirm your participation latest by Thursday, June 26, 2014 by 5:00 p.m. at registration@ptan.org or call 36826991-94/36347611-14 Ext. 8554/8556, as this will facilitate us in organizing the workshop effectively. This month’s session will be conducted by Ms. Zahraa Abdul Quadeer Khan and Ms. Sumaira Waqar on “Effective Questioning in Science”. Teachers use questions in the classroom to strengthen students’ analytical thinking and help students construct scientific knowledge. Through effective questioning techniques, teachers are able to provide pupils to arouse students’ curiosity, stimulate their imagination, and motivate them to seek out new knowledge. This workshop is designed to help teachers guide their students towards exploring and making everyday connections between science and the outside world through fun, hands-on activities. The activities and discussions in the workshop will provide opportunities to teachers to understand and learn about the importance of effective questioning. Ms. Sumaira Waqar is a B.SC in Micro Biology. She has attended a number of workshops on teacher development and learning. Currently she is working as Coordinator for Grade 1 at Beaconhouse School System. Ms. Zahraa Abdul Quadeer Khan is an enthusiastic educationist with masters from Karachi University. She has been a teacher in Beaconhouse School System for last 6 years. 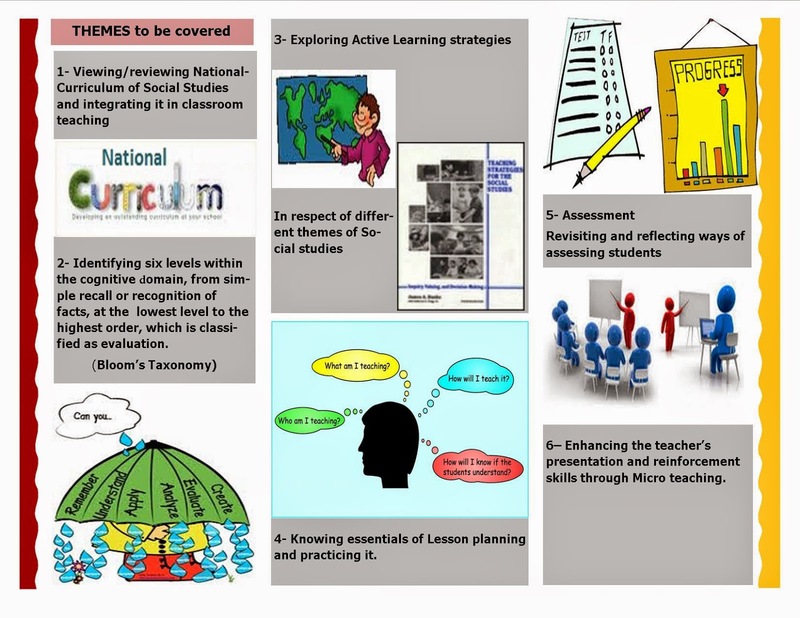 She has attended various courses and workshops on teaching strategies and resources. Note: To make the workshop effective and learning of the participants meaningful we will accept not more than 30 participants on first come first served basis. 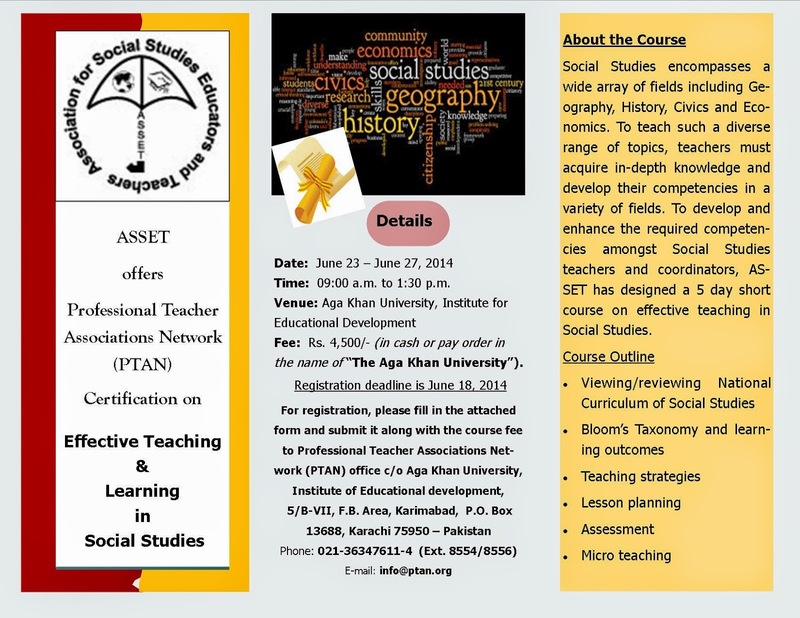 Kindly confirm your participation latest by Thursday, June 26, 2014 at registration@ptan.org or (36347611-14 or 36826991-94 Ext. 8554 / 8556, Tuesday-Friday), as this will facilitate us in organizing the workshop effectively. Looking forward for your active participation and full co-operation in the workshop. Registration deadline is Friday, June 20, 2014 (by 4:00 p.m.). For registration, please fill in the attached form and submit it to PTAN Office (PTAN c/o IED-PDC, 1-5/B-VII, F.B. Area, Karimabad, Karachi-75950) along with the registration fee (Cash or Pay order in the name of "The Aga Khan University"). For queries please email us at registration@ptan.org or call 021-36826991-94/36347611-14 Ext. 8554/8556. Topic: ‘Getting Help for the Difficult Student in your Class: Role of Supporting Professionals in Inclusive Education’. School teachers, administration and also often parents have little knowledge about the services available to help them in addressing the needs of children who are exhibiting learning, behavior or other problems. This workshop is designed to bring awareness to teachers, school administrations and parents about the how and from where they can get support for their students/children. The workshop participants will understand how physiotherapists, neuro-psychologists, clinical-psychologists and speech and language pathologists can help the student in their school life including learning, physical and social and emotional adjustments. Case studies of actual patients/students will be presented. In view of limited seats available, prior registration for this workshop is mandatory. Kindly confirm your participation latest by Friday, June 20, 2014 (by 3:00 p.m.) at registration@ptan.org or (36826991-94/36347611-14 Ext. 8554/8556), as this will facilitate us in organising the workshop effectively. For registration form please click here.